According to Williams Kaura Abba, the young boy identified as Jonathan Badamosi, refused to yield to the bandits' attack. The heavily armed men reportedly fired shots at the boy. The bullets pierced his hand and went to his abdomen. 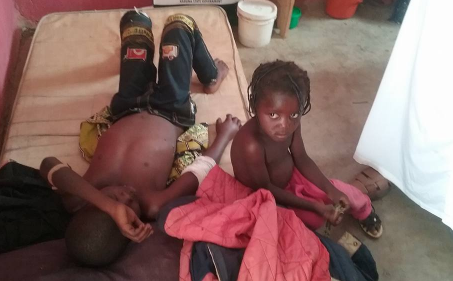 Badamosi was carrying his little sister, Muradi on his back. He had her when he was shot at. Yet, he braved it and refused to drop his little sister on account of the pains. He bore the pains and despite the bullets on his fragile body, he managed to carry both his sister and himself to safety. 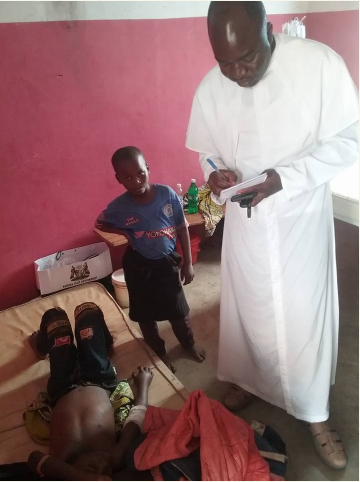 Help eventually came the way of Badamosi who is now receiving medical attention at Nasara Health Clinic Mararaban in Kajuru.